Sure, polls have shown that a majority of voters in Elizabeth Warren’s home state don’t want her to run for president. And surveys of the New Hampshire primary over the last year have suggested the Cambridge Democrat is slipping in the polls. But a new NPR/PBS NewsHour and Marist poll of national adults, taken Jan. 10 to 13, with a majority of two groups key to clinching the Democratic nomination saying they find her appealing. Of particular note, the poll found that 48 percent of African-Americans who identify as Democrats or Democratic-leaning independents view Warren favorably. Just 5 percent said they view her unfavorably, within the poll’s 6-percentage-point margin of error, which suggests “those that know her like her a lot,” observed Adam Jentleson, a Democratic strategist, via Twitter. The 48 percent favorability figure puts Warren behind only Vermont independent Bernie Sanders (59 percent) and former vice president Joe Biden, who is seen positively by 70 percent of the group, according to the poll. While it is still the early, early days of the 2020 primary race, the poll provides evidence that Warren’s deliberate outreach to black voters over the past few years may be paying off. 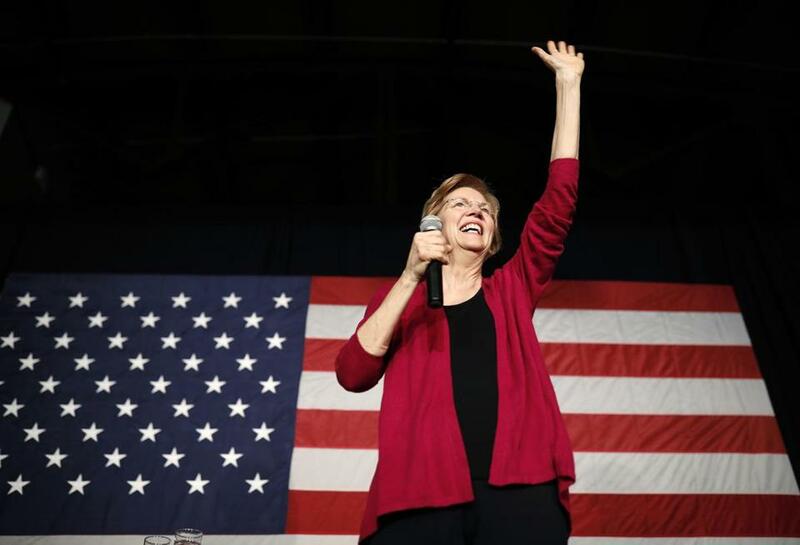 Warren, notably, has continued to talk about economic issues facing communities of color in her stump speech while addressing predominately white audiences in New Hampshire and Iowa. Also in the poll, Warren also came out looking strong with white Democrats and Democratic-leaning independents without college degrees, with 51 percent of the group saying they had a favorable view of the former Harvard law professor. Again, only Sanders and Biden did better with this group. Overall, the survey found 76 percent of respondents saw Biden favorably, 57 percent thought the same of Sanders, and 53 percent viewed Warren positively. The poll also asked about New Jersey Senator Cory Booker (40 percent); Beto O’Rourke of Texas (39 percent); California Senator Kamala Harris (36 percent); former New York City mayor and billionaire Michael Bloomberg (27 percent); New York Senator Kirsten Gillibrand (22 percent) — who launched her exploratory committee this past week; Minnesota Senator Amy Klobuchar (21 percent); and former Housing and Urban Development secretary Julian Castro (20 percent), who also has declared he is officially looking at running for president. To be sure, a lot of these results almost certainly hinge on the relative obscurity of many of the candidates, given most Americans are not following the 2020 horse race just yet. With the exception of Bloomberg, each Democratic politician’s relative ranking on the favorability scale shared an inverse correlation to how many people said they didn’t know really know who that person was. But here’s another interesting tidbit for Warren in this poll: 30 percent of respondents said they were unsure of who she was or had never heard of her. That’s despite years of Republicans doing their best to paint her as an out-of-control liberal.